Once again, Chuck Jenkins is proud to be a platinum sponsor of the 2017 Shrimp Festival. This is a great family event hosted by the Cold Harbor Ruritan. All proceeds from the Shrimp Festival support a variety of local organizations, including Special Olympics, The Hanover Adult Center, Mechanicsville Fire and Rescue, food closets for area churches, park and school cleanup programs, three scholarships for local high school students, and much more. Below we’ve posted an interview with Bill Bevins from Star 100.9. This event took place on May 2, 2017 and features Keith Rigsby, Chairman of the 2017 Shrimp Festival and our very own Chuck Jenkins. If you’d like to help our community by becoming a Shrimp Festival Sponsor, or donating your time, money, or services, please contact Keith Rigsby through the Cold Harbor Ruritan Facebook page. Be sure to watch the entire video so you can see how you can enter a local hero to win one of 8 sets of tickets we’ll be giving away starting Monday, May 8, 2017, or click here for more info. This month, we’ve added a splash of pink to our print and online ads to recognize the Susan G. Komen Foundation and the wonderful work they’re doing to help women everywhere. To support their efforts, we’re donating $250 for every home we list in October. To find out more, call us today at 804.397.9389. Plans for a 27.5-acre sports park that will include several ball fields and a two-story indoor complex received approval in Hanover County last Wednesday. The county’s Board of Supervisors unanimously granted the permit needed for the sprawling venue called RVA Sports Park that would be located on the western side of Lakeridge Parkway near Marvin Lane. The venue, which will host regional tournaments and league games, is expected to attract 400,000 annual visits, according to the projects developers. I hope this project works because its a benefit to the community, board Chairman Aubrey M. Bucky Stanley said before the vote. The sports park will have three outdoor turf fields for baseball and softball, in addition to an 86,000-square-foot indoor training complex that will include a weights room and space for basketball, volleyball and hockey, as well as an indoor restaurant. Buffers between 20 and 40 feet are planned around the northern and western borders of the facility. Scott Courtney, vice president of land development at Resource International Ltd., represented RVA Sports Park and indicated the developer would readily abide by most recommendations from the Planning Commission, including eliminating a fourth baseball field that was detailed in earlier plans. But he pushed back on the hours of operation for both the indoor facility and baseball fields recommended by the planners. He asked the supervisors to allow the sports complex to do away with set hours for the indoor building and requested that the hours of operation for the fields be 8 a.m. to 10 p.m., which would have the fields open and close an hour later than suggested by the Planning Commission. The supervisors accepted those suggestions. The five people who objected to the project shared grievances about the hours of operation for the baseball fields as well as lighting. They were equaled in number by people who favored the project, including Tracy Woodson, head coach of University of Richmond’s baseball team, who said the facility could be an economic driver. The Powhatan County Board of Supervisors opened the door for a new development in eastern Powhatan County that will create a new retail space, 22 single-family “golf villa” units and 200 apartments. During its meeting on Monday, Feb. 1, the board voted unanimously to conditionally rezone about 50 acres of land near the intersection of Route 711 and Winterfield Road from Commercial and Residential-Utility to Village Center Planned Development District. The applicant, Riverton Associates, plans to create a mixed-use development near the eastern county line that consists of a maximum 75,000-square-foot retail/commercial/office space, 22 single-family “golf villa” units and 200 apartments, March Altman, deputy county administrator, said. After a lengthy discussion, the board voted unanimously to approve the conditional rezoning. Casey Sowers, representing Riverton Associates, introduced the board to more of the specifics of the development his company is planning. The project, Winterfield Place Phase II, will be located near the existing Winterfield Place Phase I development and built on the success it has had there. Riverton was responsible for the design and construction of the relocated Winterfield Road and the improvements and signalization of the intersection of Winterfield Road and Route 711, Sowers said. Powhatan County adopted an updated comprehensive plan in 2010 and Riverton Associates is asking to coordinate the land use of its project with that plan, Sowers said. The group actually planned an extension back in 2003, but at that time it expected to build 27 new lots, have no open green spaces and no transition between existing and new homes, he said. The new homes will be built to existing golf villas architectural standards with a few exceptions, Sowers said. All yards and green areas that are to be maintained by association to be sodded and irrigated. Tarwood Estates is a small, wooded community located in Mechanicsville, Virginia. It features 14 private lots that range in size from 5 to 8.5 acres. Lots are priced from $139,950. We’re also offering custom homes from the low 450’s. Use your builder or one of ours. Best of all, each lot is pre-wired with Comcast high-speed Internet. Plus, there are no HOA fees and all roads are state maintained. If you’re searching for a beautiful, private community surrounded by trees, a natural stream, and plenty of wildlife, you need to visit Tarwood Estates. View our community video below, then call Chuck Jenkins at 804.397.9389 for additional information and a personal tour. Six families have already discovered Tarwood Estates, which means only 8 lots remain. Don’t wait for somebody else to purchase yours. Call Chuck Jenkins today at 804.397.9389. The soaring prices of real estate in some parts of the country don’t have Americans down. In fact, the current real estate market has them pretty darn upbeat. The 2015 National Housing Pulse Survey by the National Association of Realtors® found that 68% of Americans surveyed in the country’s 50 largest metropolitan areas think now’s a good time to get a hold of some real estate. 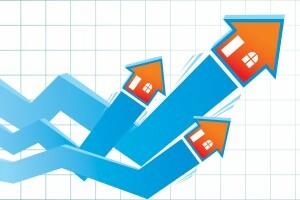 “Owning is cool again,” said Jonathan Smoke, chief economist of realtor.com®. Indeed, homeowners are apparently a confident bunch: 71% think they can sell their house for the amount that they paid for it—and only 55% thought so in 2013. “It’s a good time to buy—for real,” Smoke said. “Sure, prices have largely recovered and rates are up slightly, so homes aren’t quite as affordable as they were a few years back.” However, he pointed out that many households are now in a better position to buy than they were in 2013—thanks to lower unemployment, better household balance sheets, and slightly easier credit. Perhaps that’s why 49% of poll respondents believe that activity in the housing market has increased in the past year, compared with 44% in 2013—and just 12% in the dark period of 2011. Some 89% think home sales in their area will either stay at their current height or rise some more, and few are concerned about foreclosures.